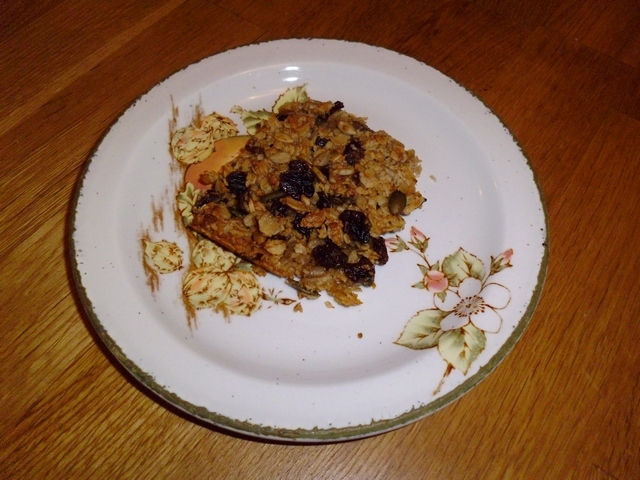 Enjoy these tasty gluten free oat flapjacks! 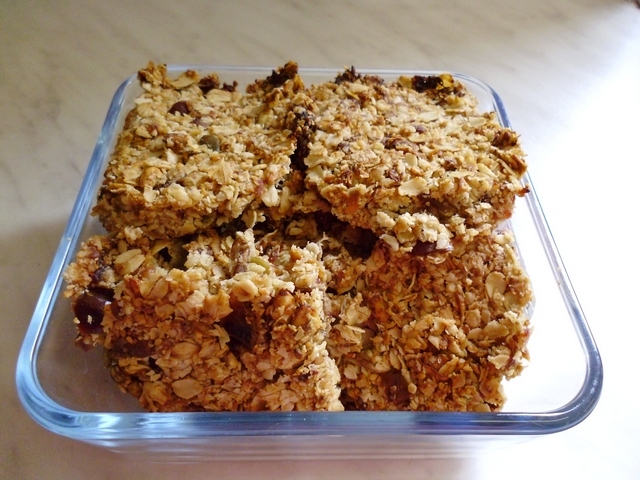 They make a great healthy snack or a quick breakfast! 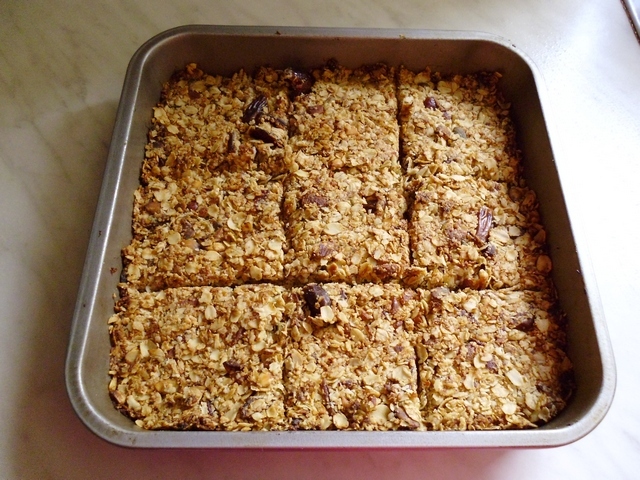 Having discovered recently that I can eat oats if they are gluten-free without having a reaction, I’m thrilled to be able to make this vegan version of these tasty flapjacks that I used to make years ago, replacing the butter with coconut oil. Soak the almonds and pumpkin seeds overnight. Chop the dates and add to a pan with the water. Simmer until the dates are soft. Now add the coconut oil and allow to melt. Add the agave nectar and mix in. 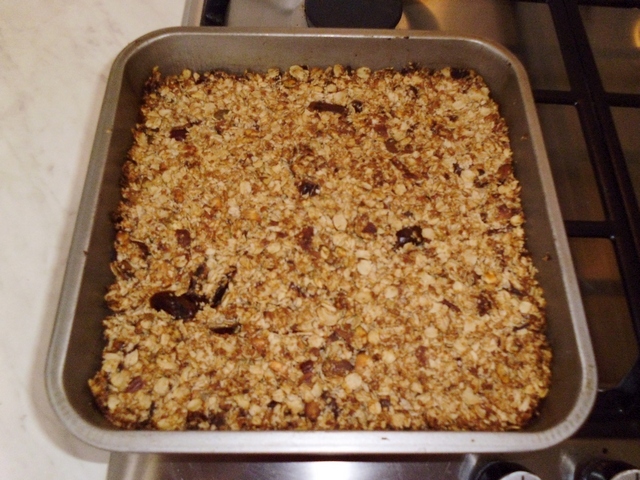 Chop the almonds and add to the pan with the whole pumpkin seed. Mix well. Finally pour in the oat flakes and mix thoroughly. 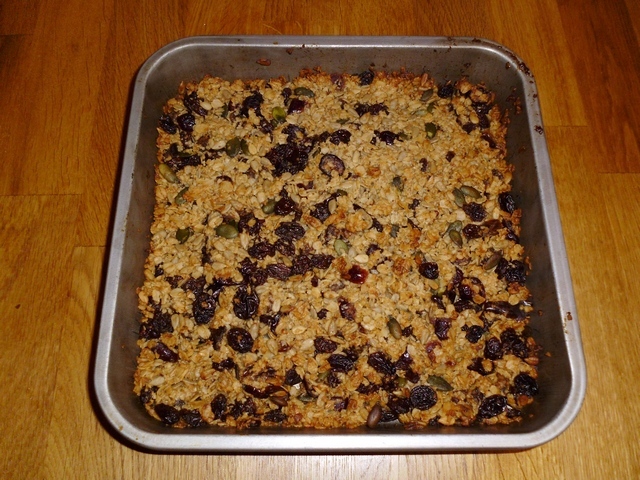 Pour the mixture into a square baking tray and press down firmly with a wooden spoon. Remove and leave to cool. Now cut into 9 pieces. Store in a cool, dry place and eat within a week.